Think about that question for a moment. Look at everything you have bought in the last week, consider all the decisions you have made, places you have gone, agreements you have made, favors you have given … and then answer the question. 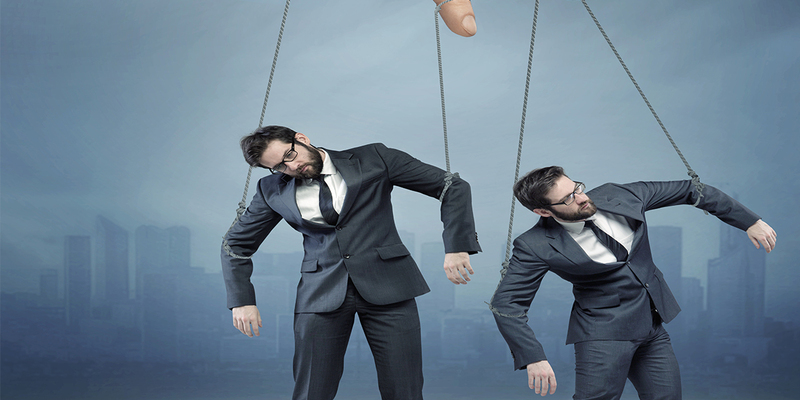 The truth is, if you have a combination of X and/or Y chromosomes and identify as a human being … you probably are a puppet of life, and like a marionette you are often pulled here and pulled there, without even knowing it. What you buy, decide to invest in, commit to and relinquish in life is greatly influenced by the following 16 compliance tactics first discovered by American sociologists Gerald Marwel and David Schmitt. So, what is a compliance tactic, and why is it so important to learn about? Well in essence, a compliance tactic is basically a way of intentionally trying to alter your behavior, or in other words, it’s a way of controlling your decisions. Compliance tactics are more forceful than simple persuasive techniques in that they actually target the behavior of a person, rather than their mental processes. Sound a tad manipulative? You bet. And it happens to you almost daily … without you ever knowing it. Friends, family, work colleagues, strangers, magazines, internet and TV advertisements … almost everyone and everything in your life subtly uses compliance tactics to control the outcome of your behavior. Hell, even you are a culprit at times. And while this may not always necessarily be a bad thing, it is important for you to gain a level of self-awareness in life that not only allows you to understand why you bought that $3,000 surround sound system with 3 bonus cup holders, but also how you can prevent yourself from being scammed, conned and duped. If we desire to gain a level of self-mastery in our lives, we first need to be conscious of what is impacting our mental processes. Or … You will feel really good and receive all of these benefits if you: ____ For example: “If you begin to use our skin care products, you will find yourself developing 60% more beautiful skin. Girls/guys will love you more because you will look more attractive”. Or … Continuously punishing someone for doing something you don’t like, and rewarding them by stopping the punishment when they comply. For example: “I’m going to play my TV show full ball if you continue to insist on playing your video games full ball. When you turn yours down, I’ll turn mine down”.
? Is It Possible To Follow A Vegetarian Ketogenic Diet? (Everything You Need To Know) How to Treat People, Not as Bad as They Are, but as Good as You Are ?